Starts at 60 just launched into the next evolution of Travel at 60, turning it into an online/offline travel agency, travel packaging team, and full-service travel consultancy! It’s an extension of the award-nominated travel media brand and travel marketplace that has been highly successful in its first two years moving nearly a hundred million dollars worth of travel enquiry and over fifteen million page views last year. The operation launched today to Starts at 60 members is led by Commercial Director Travel, Wendy Harch, who has 20+ years of experience in travel marketing, pricing and operations. She leads a team of experienced travel agents, marketing, travel journalists and product contracting experts who are all based in Starts at 60’s Brisbane head office. Travel at 60 already has more than 160,000 signed up members of its travel emailers and will be bringing its travel deals and exclusive offers to the startsat60.club members. “The Travel at 60 team and our partners have been working hard on the launch of Travel at 60’s all-new digital marketplace, product and our travel agency services for months. 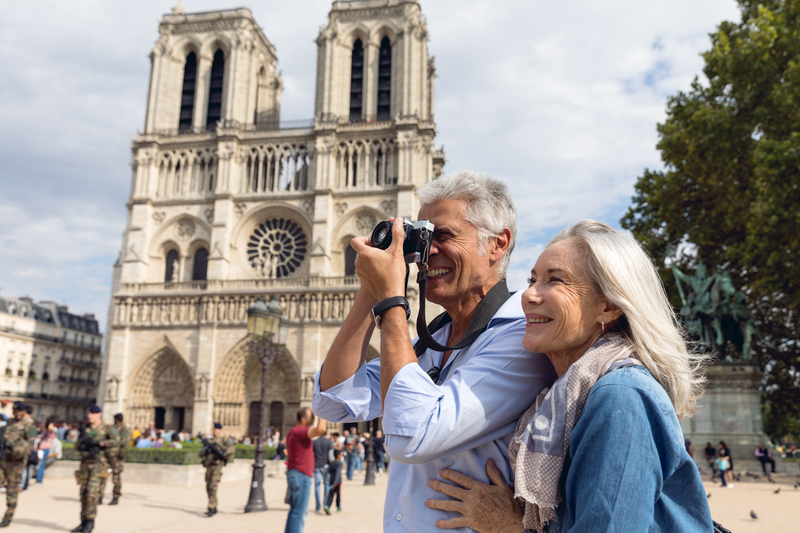 It’s an exciting time to be serving the Baby Boomer traveller, possibly the largest growth market for online travel in this country,” said Wendy Harch, Commercial Director Travel at 60. “As an ATAS registered travel agency, with an online media platform to be able to inspire them, our consumer will be able to get the best of the online and offline worlds in one place. “They can buy specially curated packages served online, call us for assistance, or book a holiday of their dreams and we’ll remember them as a customer, care for them and bring them great value for their loyalty,” said Harch. The Starts at 60 team is led by a team of four female executives: Rebecca Wilson, Amena Reza, Christine Seib and Wendy Harch. The growth business, deeply entrenched in their audience, started Travel at 60 as a media platform two years ago to give their 1.2 million strong digital media community travel inspiration. They then built a B2B2C travel marketplace where over-60s could find great deals from all kinds of travel suppliers and retailers online. This move sees the company improve the in-house software-driven marketplace offered to suppliers to bring their products to market quickly, and offer five different types of travel packages curated by their team. They’re working with the country’s best wholesalers and travel operators direct and with the ambition to build holidays more interesting to, and suitable for the emerging baby boomer market. And they will now offer a phone-based travel agency to support the community and provide full service booking capability as well as see them evolve into an online travel agency within months. The company will not be limiting their service to the over-60s, encouraging Baby Boomers booking holidays for their children and grandchildren to leverage the company’s experience in complex bookings. But members will get special benefits. Founder and CEO of Starts at 60 is excited about the move. “I admit, it is a bold move, but it is one we have evolved towards carefully,” said Rebecca Wilson, CEO of Starts at 60. “We will be the only travel company in Australia that owns its own direct media pathway to the consumer it serves, and the only media company in the country building travel solutions in-house that really serve the consumer. Worried about the rise of OTAs and their impact on your business model? We strongly advise having a packet of Panadol at the ready before giving this a squiz. The OTA took a break from watching rom-coms and eating ice cream from the tub to have a chat with Travel Weekly about its heartache. If this story doesn’t prompt a heap of high fives and back slaps between travel agents, we don’t know what will.